nSnake is a simple clone of classic Snake game and you can play it in your terminal using ncurses. The purpose of nSnake game is to provide a simple-coded, almost tutorial-like game with C. The source is well documented so that interested users can easily understand the code. However, Linux users who live in terminals will love the game. You will need to have ncurses dependency installed. In Ubuntu, you can install by running the command below. 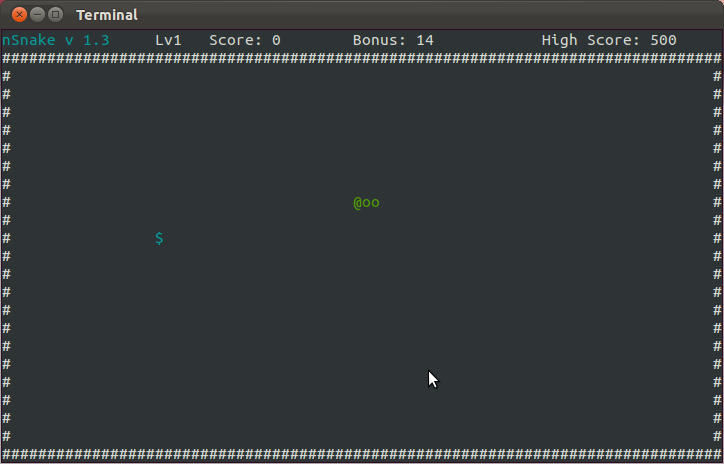 I know many Roguelike games can be played in terminal. Do you now other Linux games that can be played in terminal? Share with us in comments below.